IPC Media now known as Time inc.UK. was founded in 1968 and is a publisher for magazines in the UK. 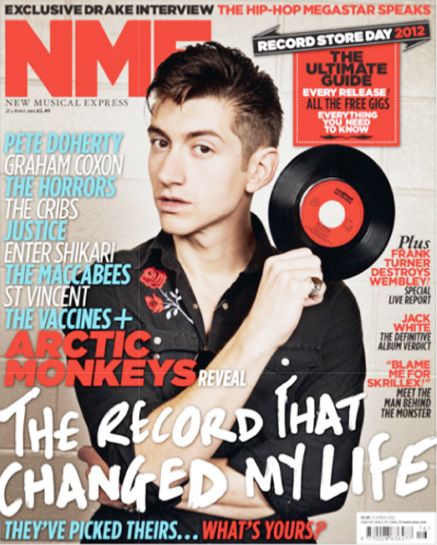 The magazines they publish includes NME which is of a similar genre to my magazine. This company sells hundreds of millions of magazines a year and the fact that they distribute NME which has a similar target market to my magazine shows that they already have a product in that market and have experience there. I believe publishing this Time inc. (UK) would be a good idea because they are a very succesful company which would help propel my magazine to the right audiences. Bauer media is a huge publisher that joined the Bauer Media group in January 2008 following an acquisition of Emap plc's consumer and specialist magazines, radio, TV, online and digital businesses. They run a huge amount of radio stations, TV stations, websites and magazines. They own a number of very popular music magazines including Karrang! and Mojo. This makes me believe that Bauer Media would have no problem publishing my magazine to the right audience because they already have a huge amount of experience in that field.